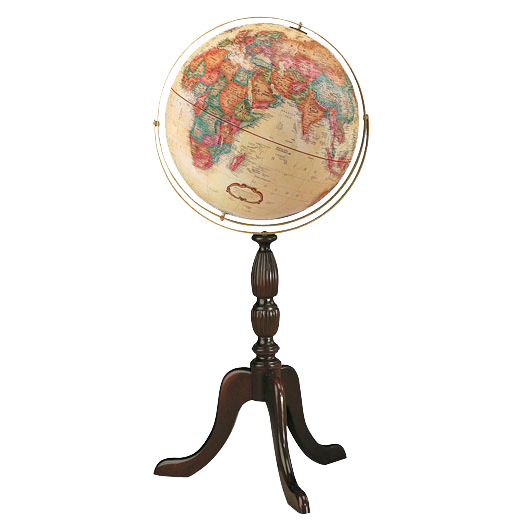 The graceful style and antique luster of the Cambridge’s Gyromatic assembly present a pleasing contrast to the substantial beauty of its rich hardwood stand. Available here in antique walnut finish. 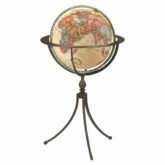 The 16″ raised relief world globe ball features an antique style map and delicate design details. 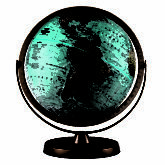 The Cambridge is 38″ tall. 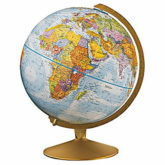 This world globe has “gyromounting” which means that it can spin in all directions.